Updated Saturday June 16, 2018 by SCP. It’s what parents expect. It's what athletes deserve. 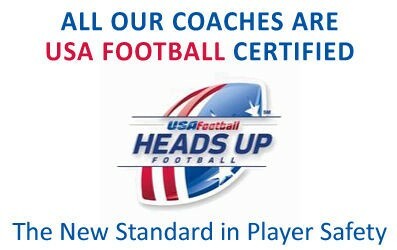 Heads Up Football makes football safety an integral part of our league's operations. Youth football leagues are implementing the Heads Up Football program — and are realizing the benefits that certified coaches and a commitment to safety can bring. Listen to what league administrators are saying about encouraging consistent high standards and training across all of their teams.